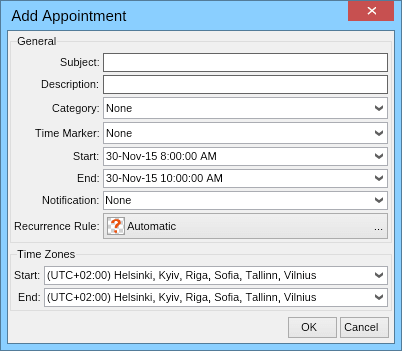 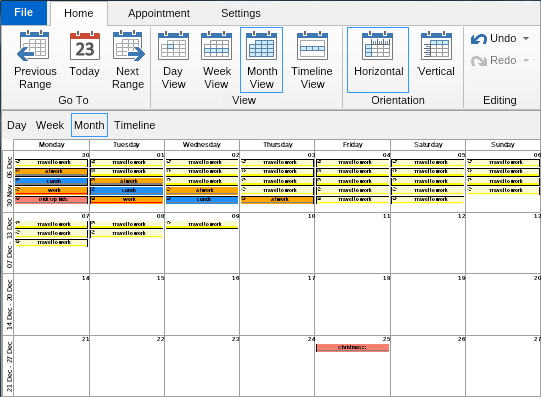 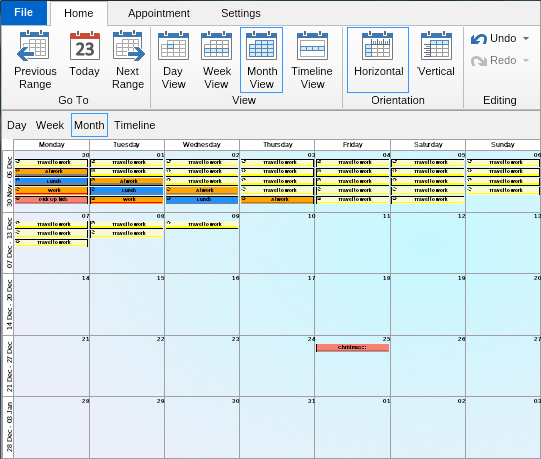 NOV Schedule is a widget for showing and organizing appointments and recurring events. 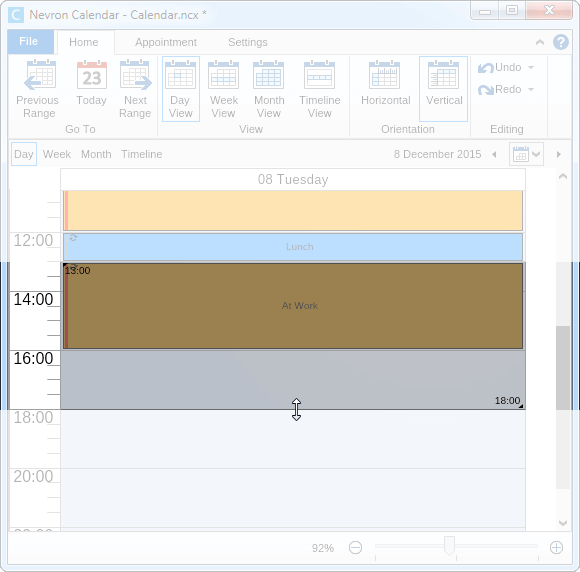 It provides all the features of Microsoft Outlook Calendar and Google Calendar plus many more. 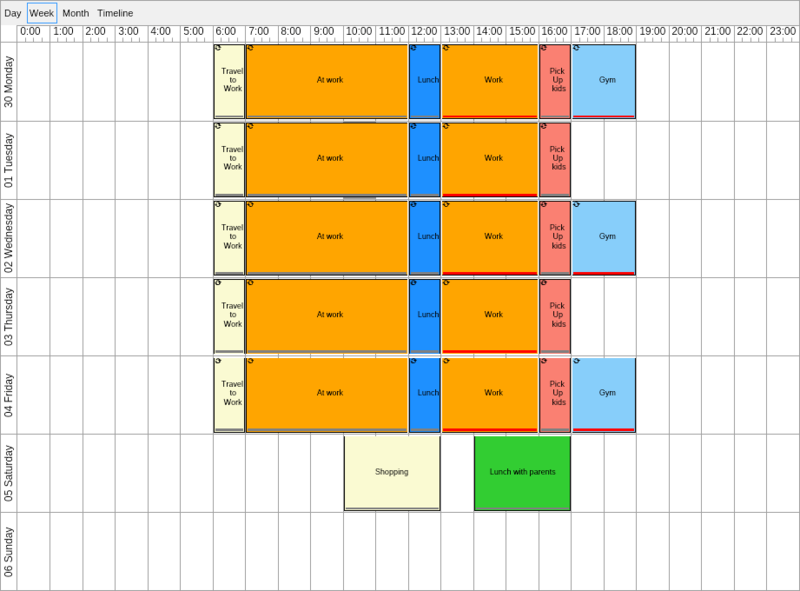 Detailed documentation and code examples. 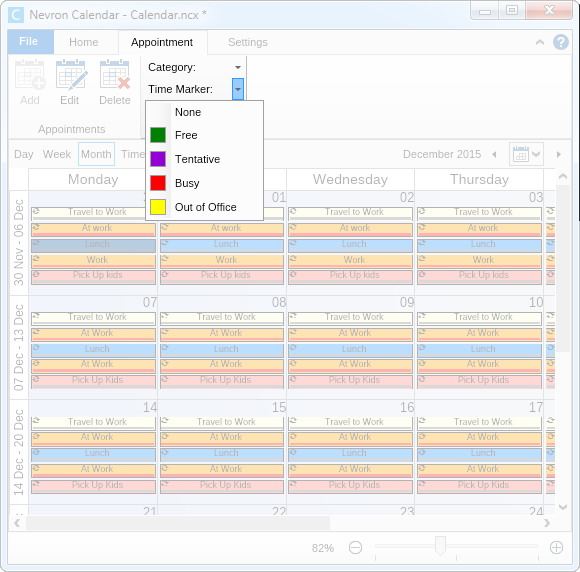 NOV Schedule is part of Open Vision for .NET Enterprise Edition.